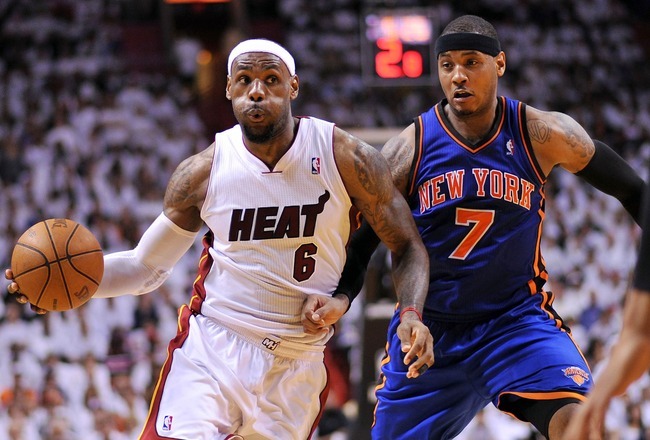 LeBron is playing on another level and has the Heat primed for the playoffs. 1. Chicago (21-6) – Derrick Rose is making quite an effort to win back to back MVP awards. Rose is determined to get the Bulls to the finals this year. 2. Oklahoma City (20-5) – The one-two punch of Durant and Westbrook is so exciting to watch and tough to stop. 3. Miami (19-6) – Since getting Dwayne Wade back, this team is on a tear. 4. San Antonio (17-9) – Even though this team is getting older and has lost Manu Ginobili, they keep churning out the wins. 5. LA Clippers (15-7) – They still have a ton of talent but the loss of Chauncey Billups for the year will definitely hurt their depth. 6. Philadelphia (18-7) – They have surprised many with the way they have played against the elite teams in the league. 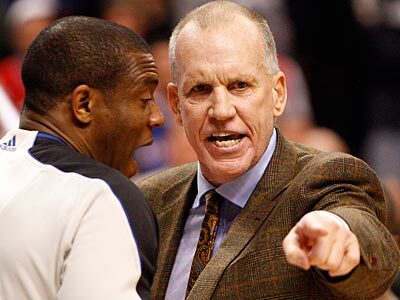 Doug Collins is the front-runner for Coach of the Year with how well the Sixers have played. 7. Indiana (17-7) – Four of five starters finished in double figures in a close win over Utah. 8. Atlanta (16-9) – They have lost three in a row as they struggle to find someone to replace Al Horford inside. 9. Boston (14-10) – Paul Pierce passed Larry Bird for 2nd all time on the Celtics scoring list. 10. LA Lakers (14-11) – Kobe Bryant has moved past Shaquille O’Neal for 5th on all time NBA scoring list. 11. Orlando (15-10) – 33 points and 14 rebounds for Dwight Howard vs the Clippers, just another night at the office for the big man. Howard continues his dominance as he gets closer to his pay-day. 12. Denver (15-10) – They will struggle without Danilo Gallinari. 13. Dallas (14-11) – They need a guy to step up at point guard while Jason Kidd is out. 14. Portland (14-11) – LaMarcus Aldridge is the best player no one knows about. 15. Houston (14-11) – Kyle Lowery is the front-runner for most improved player. 16. 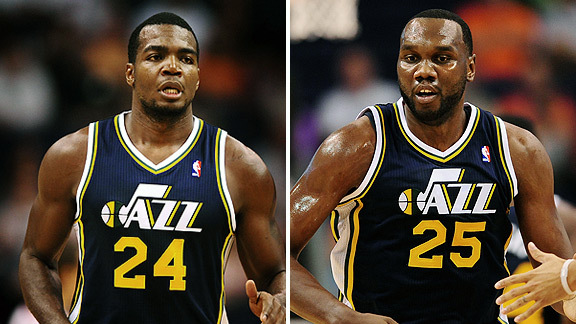 Utah (13-11) – One of the best front courts in the NBA with Al Jefferson and Paul Millsap. This front court of Jefferson and Millsap is why the Jazz will be in contention for a playoff spot. 17. Minnesota (13-12) – Kevin Love is the best power forward in the game but should very little class stomping on Luis Scola the other night. 18. Memphis (12-13) – Marc Gasol is becoming an elite center in this league. 19. New York (11-15) – With Amare Stoudemire and Carmelo Anthony missing a few weeks of action, Jeremy Lin has scored 53 points in his last two games. 20. Phoenix (11-14) – All five starters finished in double figures in a win over Milwaukee. 21. Milwaukee (10-14) – Drew Gooden is making people forget about Andrew Bogut with 29 points and 7 rebounds in 2 games. Gooden has done a good job replacing Bogut. 22. Cleveland (9-14) – Kyrie Erving had 20 points and 7 assists in a win against the Mavericks, making him a serious contender for Rookie of the Year. 23. Golden State (8-14) – Monta Ellis dropped 48 in a close loss to the Thunder. 24. Sacramento (9-16) – The inside-outside presence of Tyreke Evans and DeMarcus Cousins keeps them in games. 25. New Jersey (8-18) – Deron Williams is having another all-star season, but if they cannot get Howard he will walk. 26. Toronto (8-18) – Their offense is not the same without Andrea Bargnani. The Raptors offense does not have a flow without Bargnani. 27. Detroit (6-20) – Good win over Milwaukee as their rookie point guard Brandon Knight had 26. 28. Washington (5-20) – John Wall is very exciting to watch and JaVale McGee will be a trade piece for contending teams. 30. Charlotte (3-22) – Kemba Walker is about the only bright spot on this team.